Hanley Ramirez jerked a big dong this evening, sending a Wade LeBlanc fastball some 455 feet into the Seattle evening. 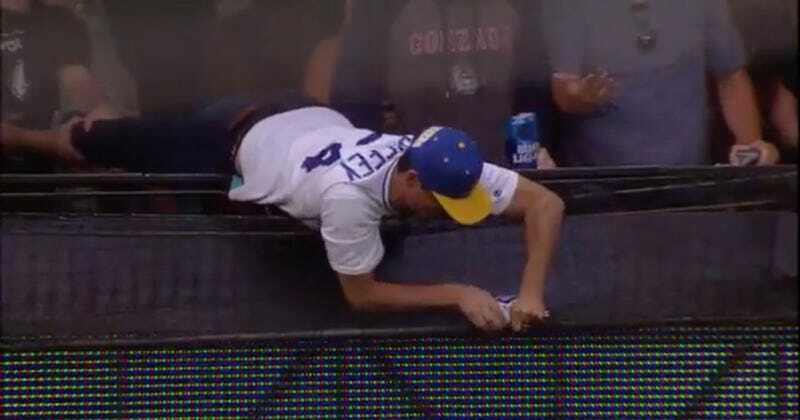 It nestled its way into the netting above the scoreboard in left field, thus beginning this enterprising Ken Griffey Jr. fan’s treasure hunt. Alas, our friend did not succeed, as the cops shut him down before he could wrench it out. The officer then gave it a crack. However, even Johnny Law couldn’t dislodge the baseball from its meshy grave, dooming it to a life of purgatory, neither free nor owned.